You are here: Home / Topics / Build More Power / Is Rotating Back Hip Through The Zone Necessary For Power? Fred, I agree. That wasn’t the point of this post. Many coaches out there are hyper-focused on teaching power comes from the hips. Do the hips have a role in power, yes. But now how much people think. Do the legs contribute? Yes. But not what most think. That was the point of the post. Of course we teach it all, but it’s important to not only get our hitters swinging effectively, but safely too. Joey I love this article… perhaps the best way to say it is …do we directly or indirectly use the ground and our lower limbs as a source of power… but I don’t agree with the premise of that statement either… in my view, this whole discussion is difficult…for the ones who do not know it’s over their head… for the ones who know than the super specifics get too specific…and there always that moment off well what about looking at it from this angle… The fact is you need the linear forces to get the rotational going in my view but they come from different parts… imagine that… we have multiple moving parts!!!! But in a vacuum, ” how many instructors teach, it’s all in the hips”…yes we don’t focus on the hips per se…. I don’t know how that sounds!!! What say you? I agree with you Djura. You got the point of this post, which is the pelvis and Gravitational Forces play a role, but ARE NOT the end all be all to consistent power. They play a minor role. What is the role? Directional force. They set the direction and provide approx. 20-25% of power. The rest comes from the shoulders and T-Spine. Yes everything is connected and dependent on each piece. Crazy, top of food chain Water Polo athlete can throw a volleyball sized ball 60-mph…floating in water – using minimal to no Gravitational Forces!! If he threw a baseball in the same scenario, he probably could hit 80-mph! Top of food chain pitchers, using Gravitational Forces and legs, can throw a baseball 100-mph. This is a near perfect comparison to show the role and value of the pelvis, legs, and Gravitational Forces when it comes to throwing or hitting velocity. So why are hitting coaches FOCUSING ON TURNING THE HIPS FOR POWER!! They’re ruining hitter’s low backs in the process. Ask better questions coaches. Thanks for the comment Djura as always. Great article! I think your main message is that the cue, “load and explode the hips,” is over emphasized, as you put it, “hyper-focused on.” Again, we are dealing in coaching cues and semantics. Fred, the cue is a bad one. I never like the cue, “load,” because a player thinks he has to push his hands back, barring his arm in the process. Although it sounds kind of forceful and aggressive and, therefore, attractive, “load and explode” is made worse by its interpretation by the player, who takes it literally. The player then goes out and tries to execute it, never realizing that, in so doing, he could be “exploding” his lower back. The takeaway is: watch what you say, how you say it, and, most importantly, how it is perceived by the player you are coaching. Coaching cues should reflect and be compatible with the skill a player is expected to execute. Most of all, coaching cues should conform to human movement science. Right on with your comment Joe, and I agree 100%. Load and explode the hips makes no sense since the hips have multiple slings, movements …etc. Anyway I’m out… I don’t know if anything I said makes sense….Hope all is well…later. Djura, your talking about an old school medieval catapult, good example on the saggital plane. Less movement at base of tree versus A LOT of movement towards the launching rock. Again, pelvis sets directional force, MUST move minimally, and contributes about 20-25% of pop. The higher up the spine you go, the more rotational movement is allowed, the movement of what the pelvis started gets multiplied. Pelvis rotates slowly, shoulders faster, hands even faster, and barrel is the fastest. The early arm bar was characteristic of hitters of the 1960s like Stan Musial, Al Kaline, Roberto Clemente, and Harmon Killebrew, to name a few. Are you familiar with Todd Frazier’s swing? What is his batting average? How do you get him out? He’d be better off getting that front arm bent to make his swing faster and get him on pitch plane sooner and more efficiently. The bend in the front arm also would enable him to adjust to pitches of varying heights and breaking balls better. He often looks sick on breaking balls. The rigidity doesn’t allow a hitter to adjust to different pitch planes and pitches. The bend in the front elbow does. Joey has talked a lot about “separation loaded vs. spring (fascia) loaded.” The former involves pushing the hands back in the so called “load.” The latter involves the down and in movement of the front shoulder a la the hitters I mentioned in my first post above. Ask yourself why they do that. Maybe they do it naturally but that movement corresponds to the musculature of the abdominals and upper back(“the serape effect”) and their myofascia cover. The down and in shoulder movement also conforms to the spinal movements that Serge Gracovetsky discusses, referenced by Joey in the article, especially in Joey’s point about water polo players – where do they get the power from? Now having that in mind, which is slow motion and what we think we are seeing may in fact be not what we are seeing…. We should start with, WHAT IS ARM BARRING???? Joe, I think the hardest thing to see is the angles at the arm… slight movements make the angles different but appear to make the arm look the same…Hope all is well..
Joey there needs to be a hip snap….but there needs to be a firm upper trunk first … and lastly a firm shoulder rotation at release… I believe I got this right… So the major point is FIRM….Do hip snaps with and without firm upper trunks… there’s a difference so the all in the hips people don’t understand that the hips are the opposite of the shoulders meaning NOT all hip snaps are the same…What say you? Early arm barring is what Todd Frazier does. But if we use your model… Than yes the shoulders are powerful but like you noted the power gets amplified and at some point it’s ALL in your hands..LET ME SAY THAT AGAIN…. The power is all in your hands…. Question… Assuming I’m right, ASSUMING, can we hold that power at the hands…And if the answer is yes than what is passive and what is active…What is direct and what is indirect.. Assuming I’m right… if I’m right… Than the whole swing is not about swinging up/down/level… It’s about holding it back and letting it go which a little touch… Meaning it is soooooooo internal…. At any rate, what do you think about not stoping at the shoulders but at the last part of your body which is your hands…and what does that mean? Also, I think you should shed some light on stacking… as this is complicated….You would have to be the first in the industry to take on that issue… I think the stacking goes from your feet up and back down to your feet…. Seriously this is some good stuff…and I’m not sure how we are calculating the power… how can we use the shoulders without engaging our pelvis… if we use our shoulders and not our pelvis it seems like we wouldn’t use the tension correctly… Joey I’m not trying to be difficult but I’m not understanding how we can explode without using our big gear…. Djura, spinal engine works in space, the shoulders don’t need the pelvis or Gravitational Forces to be effective. Yes lower half contributes, but only about 20%. 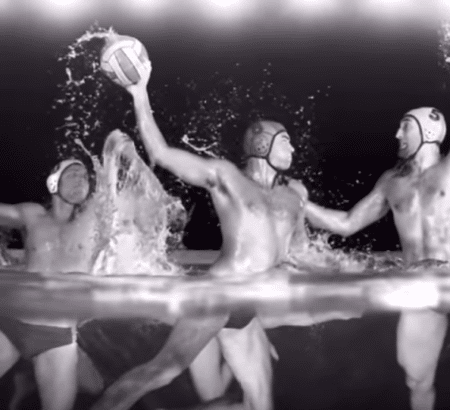 Just read about the fastest water polo throw in this post. Better yet, look up freestyle motocross, Olympic High Dive, Ice Skating, or anything else where Gravitational Forces aren’t driving the pelvis to turn and the athlete is back/front flipping or twisting in the air. The pelvis is an anchor point for the shoulders to do their “magic”. Come on… that has to make you think ? At least a little smile…. Arm bar, slight angle with my lead than a forced arm bar pressured by my rear side..
All I know is Todd Frazier’s swing is not what I advocate. Joey I’m not sure if we are splitting hairs or if we see things differently or if I’m just wrong as I invested most of my time on other things…. So… how does the sacrum work… doesn’t it all have to be one unit and if that is right would they both work together…. I think I need a review or someone to make an article on bracing and stacking… but than again this is where I think is the real secrets…. Additionally this becomes extremely complicated as there are different ways of looking at the pelvis…. I don’t even know which angle to take this as is it possible to get the hands evaluated and see what percentage the hands add nominal power..
For me the most important measurement is forarm rotation period!!!!!! But i really wouldn’t go there…. To be honest I like teaching using, hands ( I will not go in detail as that gets complicated), your inner left arm to your pec, your rear lat…. Than just use your inner lead arm and rear lat.. So trigger the swing with the lead and literally bring your lower most part of our lat right to the ball…The bat should snap in place..
And I’ll be using my pelvis and shoulders about the same time…. Question when you swing what is firm prior to releasing your trunk…. And the anchoring doesn’t have to be in the ground… can’t it be from WITHIN…. Sorry but since the lower half is basically passive I really haven’t thought much about it.. I really don’t advocate teaching anything in the lower half… what I would do is look to see what the lower half is doing….And figure out what is missing from the upper half or approach…. Thanks for considering my comments….. The title is ” Is rotating the back hip through the zone necessary for power”…. But I’ll say this..if I set up as I do and start my first swing with my lead hand and bring my rear lat around to the ball my swing has a really nice feel to it… I feel like I can control the energy and get everything my body can provide in that energy..
Well I already told you that I can control my hips and feet with my HANDS…. Said another way, to get into a high level swing posture, I THINK, your hips which are linked to your pelvis, feet, and above the waist…. have to be engaged…. now you will quickly say I do say it’s engaged but only at 20%…. How did we come up with 20%…. also 20% is the difference from going pro I bet you if I was a betting man…. So I’m all over the place… but that’s because if your tensioning your pelvis internally towards the hitting zone and anchor there how do you measure that as hips or pelvis energy? Joey I just think that calculating this is not the way to go…. Again, when talking about the high level swing… it includes the pelvis… Bit power comes from alignment and it STARTS with the Hands and feet…. And the data I saw has everything to do with FOREARM rotation…. not the shoulder nor the pelvis…. but the devil is in the details…. I was about to go all over the place but I’ll stop as I know at times I can be annoying…. Joey I truly think that it’s alignment and understanding your body…Think internal not external…. Think about Bruce Lee doing his phantom moves or whatever we call that…. But what do I know…..I just don’t like putting numbers on a complicated powerful move…. and anchoring as you say it seems to be a point that is almost looked over… How do I know that? Well you haven’t really written anything about the MAGIC of a proper anchor…. perhaps it can add 20% to your swing ? Really last thing.. it’s just a thought I had and might be wrong… but as far as my understanding the body can provide so much energy that the bat can just fly out of our hands… so we kind of slow it down to control it… so you say pelvis is for directional and anchoring…. If you put a door on without anchoring it what do you have…. Here’s one measurement…. Include it all!!!!! Here’s another question? What is bracing???? Joey with sidebending and all there are many things getting preset…. and if I’m right and I am how do we calculate this? Are we just looking at the pulses? I may be confused but what do I know?Let me know if I’m misunderstanding something as I really haven’t looked into this in detail… Thanks. Joe, I agree. The legs do play a role in power, about 20%. I tell my hitters, their spinal engine will get them to the wall, and their legs will get them over the wall. I like Javier Baez’s swing!